Looking to thin the herd and thought that I'd start off with this. It's the Millenium Models Int'l Scarlet Viper Conversion Kit, MMI-1005. 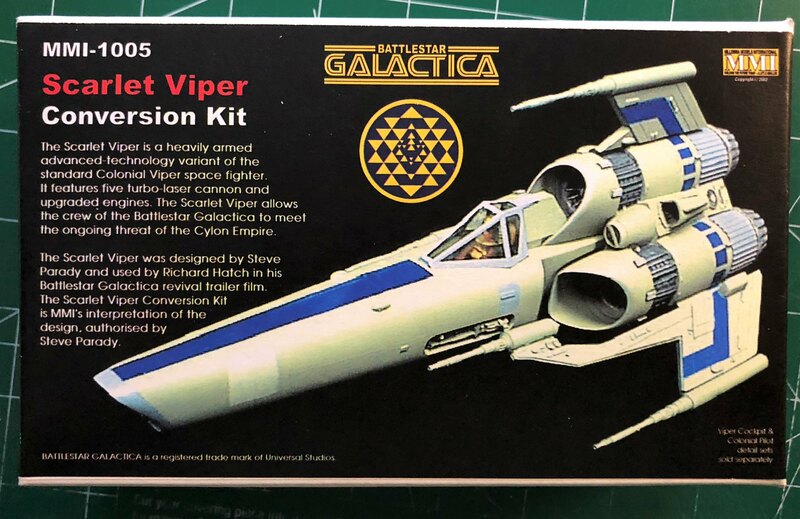 This conversion kit is meant for the Revell 1/32 scale Viper kits - either version - and should work with the more recent Moebius Models 1/32 Mk I Viper kit. I can't guarantee that this will work with the MM Viper kit, however. I'm asking USD$65, plus shipping in the US or Canada. Sorry, unless I know you from here or other forums, I will NOT sell to overseas locations. Inquiries are welcome, regardless.